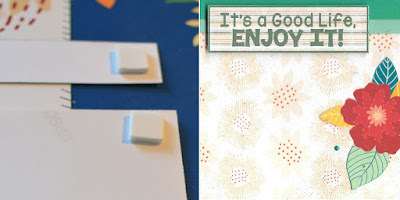 Blog Quick Quotes: It's a Good Life with Louise! It's a Good Life with Louise! Happy Friday the 13th Quick Quotes readers, Louise here to show you the new Secret Garden collection. This collection has beautiful bright colors with bold floral patterns. The reverse sides of the papers have more subtle prints including chevrons and solids. 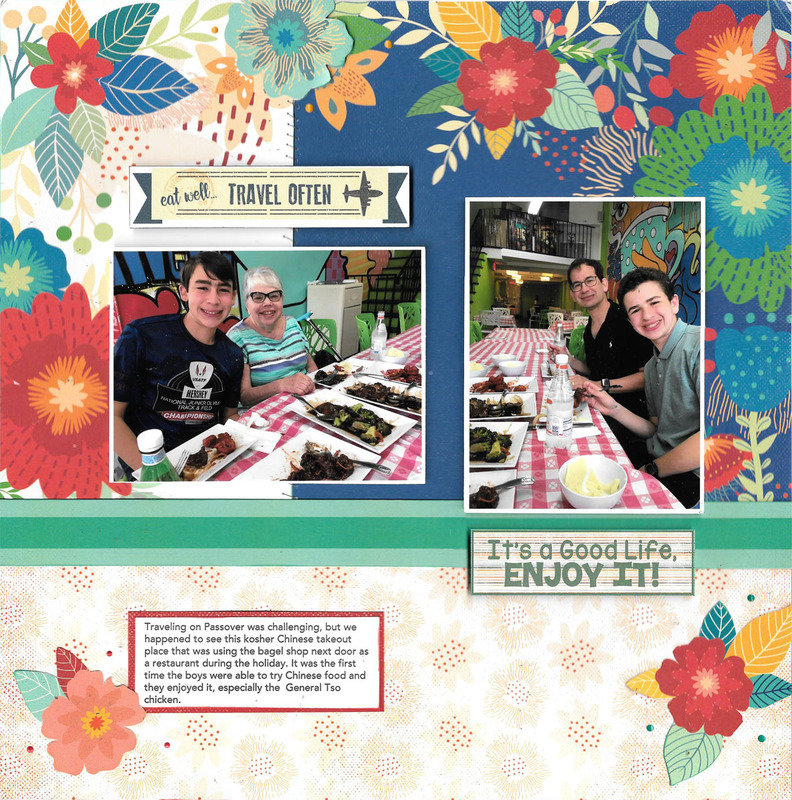 These papers are perfect for a wide range of Spring and Summer themes, but I chose to use them for a scrapbook layout about Chinese food. My children have a variety of food allergies and have never been able to have Chinese food until last week at this funky little place we found over Spring break. Of course, they loved it. I thought the bright colors in the Secret collection went perfectly with the restaurant paint job and my Mom's shirt. 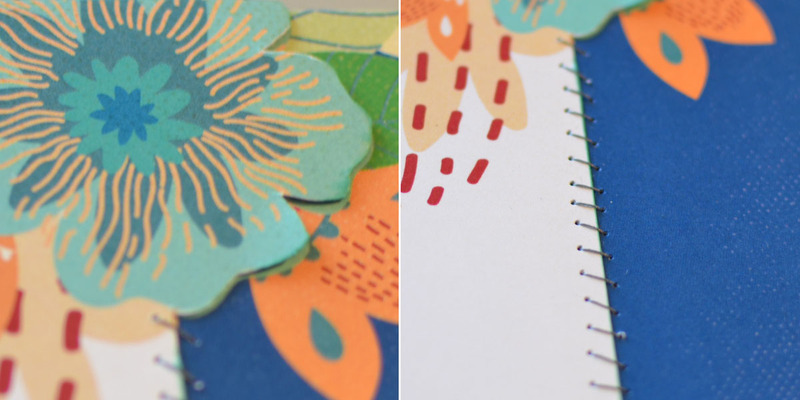 The Secret Garden 100 and 105 papers have the same floral pattern with different background colors. I stitched them together with the patterns matching up, but chose to fussy cut around one flower so it wouldn't have a seam through it. The flowers at the bottom were fussy cut from the unused sections of the white paper. The subtle pattern on the bottom is from the reverse of Secret Garden 104 and the horizontal stripe (which matches my Mom's shirt perfectly) is from Secret Garden 103. The quotes are from the Adventure Awaits and Farmhouse collections. The quotes and photos are adhered with raised foam to help them stand out. All edges are inked with PowderPuff Chalk Inks. 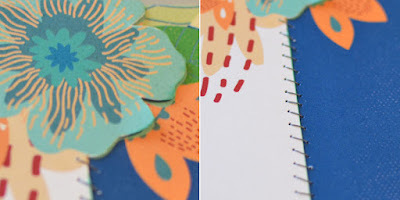 I love how you stitched together the two floral papers. It looks great and by fussy cutting some flowers, it looks like that’s how it was supposed to be. Very cool!